FIRST!!!! Yep its my blog i can be first if i want!! Yep Love Jones is a REAL inspiration and NO I wont share with u nosy blogville people..LOL!!! Yes you will. So go on and share..
'Love jones in you bones', Shona you really are a wordsmith! This is my favourite poem so far! LOL at being first on your blog. Please share the gist. BTW, I love the poem, reminds me of my own love jones. @Blogoratti - LOL!! So what had happened was there's this swaggerfied man lets call him Darius and this girl lets call her Nina who...syk! !..mute button is on and grin on my face!! @MBLS - Thanks girl! !This is actually a fave of mine too...yep love jones in my bones..LOL!! @Myne - LOL!! 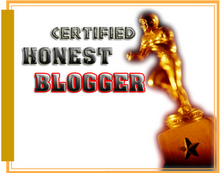 Girl, I wasnt first on Tigeress' and Funms blogs so I decided might as well be first on mine!!LOL!! Ohh yess thats the aim to remind folks of their own love jones and appreciate the man or woman in their lives! anyway Ms Shona, this is so good. wow, im happy for u....im grinning. Killing me softly with these your words. I have been jonesin' for a minute now. Smiling at the mere thought of him or getting all giddy at the buzzing sound my phone makes when it's him. Ahhhhh, love is so grand, what could be more precious? I've got the jones in mah bones...amen!!! It's beautiful. It lets out simple truths in a lyrical way. And it's realistic! @QueenofmyCastle - speak it girl!!! Nothing beats the jonsing...aaah!! @LucidLilith - Yess girl!! WORD!!! @Nana Yaw Asiedu - Thank you very much, it is definitely sincerity mixed with creativity. @Trybes - LOL!! Hmmm are you that some-one??LOL!! Love it!!! Can I steal it? Promise to give u the credit tho!! Shona did you just "1st" your own blog, wandipedza/you've finished me! Wow, i love this poem and yes i will be jacking it and double yes i will be giving you credit! "He's the medicine to your pain"
He's the medicine to your pain... Girl you're on fire! Lovable Man defined right there - the jones in your bones! love it!!! @ Vimbai - Ehe sha-a ndazviita FIRST!!..LOL!! U know when I said 'sha' reminded me of this song by Alexio n Tererai 'Tinodanana'...lemme come to ur spot n talk about that..LOL! Go ahead and jack it girl..so long as m being mentioned its cool! Awesome... That movie deserves massive kudo's for inspiring this poetry. Nothing beats having some bones in your jones, hehe.... Who be joning your bones big sis? @Non-Non - That movie is THE movie of ALL times! !Now, now, lil sis you by default u already know about the love jones in my bones, the lighter to my cigaretter, the love flowing in my veins..LMHO!! Be honest girl…who are you loving?? Where is he? I want him. @Diary of A NaijaGirl - Thank you very much, its comments like this (n more above) that will make me keep writing n writing..really makes me smile when I know there are people who enjoy my work!! Thanks once more!! @Parakeet - He's on his way to you right now!! @K - OMG!OMG! This has to be telepathic communication coz as m busy getting ready to leave was thinking i hadnt heard from ya and was going to check on ya...well let me follow orders n dash to the email side of things!! Sorry ekse!! Ok lets call a spade a spade here *channelling in the best ebonics ever* 'Girl, you is talented!Yes you is! Writing this love joneses piece, go on with your bad self! ', LOL! Shona you're good at what you do and I know you know that I know this inspiration! @Chayoma - aint it just!! That is one of my favorite songs ever! Ahanti's Baby. The lyrics just flows into my system. So who is this person giving you the blues? Halleluyah! I have my own Mr Jones! @Writefreak - Ooooh I love the 'Mr Jones' part...m going to start using that one!! You go girl you and Mr Jones..and hey *wink* right back atcha..lol..
STOP AIDS..Keep the promise! 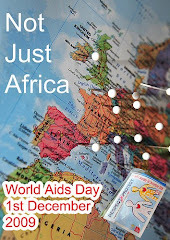 !Wrap it Up and Get Tested!! All text on "Shonavixen™" is copyright. No part may be reproduced by any process without the permission of Shona Vixen™ 2008©. Being African is embodied in me. ShonaVixen..its more than just a name...its a BRAND!! Single Black Male - He's the Truth!! LondonDiva - My Pick Me Up!